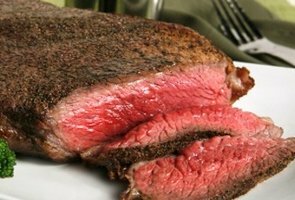 Bison meat is often marketed to restaurants for high quality cuts of meat which include bison steaks and tenderloin. In Canada, commercial bison farming began in the mid 1980s. The 2006 census documented 195,728 bison, on 1,898 farms.